The biggest challenge is finding people to play and think outside the box whilst inside The Cube. Cube Jam is a series of workshops and presentations created to bring the smarts and creativity of the games making community to The Cube. Come and see what the next generation of games makers come up with during the public presentations, and gain an insight into creative thinking and ideation process. 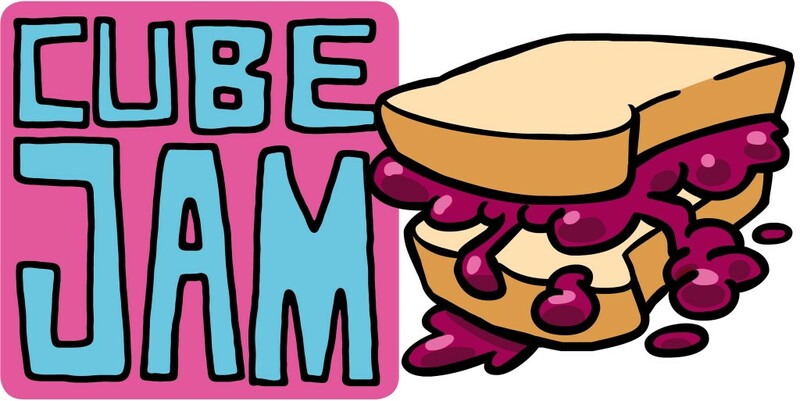 Visit the CubeJam blog to find out what happened in previous CubeJam events. This blog is maintained by the Brisbane International Game Developers Association, in collaboration with The Cube. Cube Jam is a series of invited and public workshops created to bring the smarts and creativity of Games Makers to new technologies and large public screens in particular. Cube Jam is a project developed in response to the new and rising marketing in large-scale interactive public screens – the Cube being a premier site in Queensland and Australia. The project evolves from our seven years of experience running intensive game and interactive design ‘jams’. These jams support intensive creative practice events that see students, emerging and established professionals coming together to explore design possibilities and make games, and variations of, in collaborative groups. The Cube Jam program is a Jam with a difference; combining current knowledge and best practice with the extraordinary possibilities of large public interactive screens. At each iteration Cube Jam is focused on a target audience; starting with the professionals and working our way to the High school students and our future makers. Cube Jam workshops and presentations will offer an explorative approach to thinking about large public screens, supporting innovative thinking and creative design processes inspired by the challenges presented at each workshop. Workshop one – Discovery – is all about the leaders. By bringing together some of Australia’s elite practitioners we hope to discover new ideas and pathways to thinking about what success might look like on The Cube and similar new technologies. Workshop two – Show|Share|Challenge – inspired by the knowledge shared (via the video presentation of ideas generated in workshop one) this second workshop is focused on broadening the possibilities of what it is to be a games maker – and how the unique skills and perspective form through games making might be translated across to a new generation of large public interactive screen locations. Workshop three – Inspiring schools – through a mini version of the public and dream team program, supported by the outcomes of these workshops, the School program is interested in inspiring year 9 students to engage design ideation and making digital content.